Researcher Sophia Attwells and colleagues reported at a 2018 scientific meeting that the longer the time that a patient went without treatment for depression, the more inflammation they exhibited on positron emission tomography (PET) scans. Attwells and colleagues used the PET scans to assess the total distribution volume of TSPO, which is a marker of brain microglial activation, a form of inflammation. Strikingly, in participants who had untreated major depressive disorder for 10 years or longer, TSPO distribution volume was 29–33% greater in the prefrontal cortex, anterior cingulate cortex, and insula than in participants who were untreated for 9 years or less. TSPO distribution volume was 31–39% greater in these three important regions of gray matter in participants with long durations of untreated major depressive disorder than in healthy control participants. Editor’s Note: In schizophrenia, the duration of untreated interval (DUI) is associated with a poor prognosis, but not with inflammation. Researcher Yvette Sheline has also reported that less time on antidepressants compared to more time treated with them was associated with greater hippocampal volume loss with aging in patients with major depression. 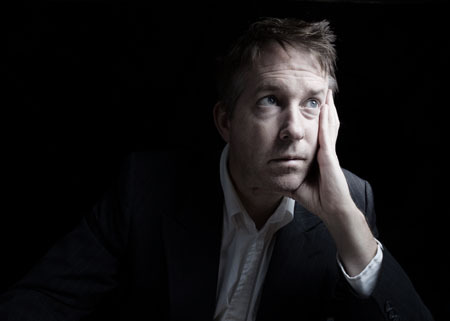 Given Attwells and colleagues’ remarkable finding about the adverse effects of the DUI in depression, including inflammation and brain volume loss, and other findings that associate more episodes with poorer functioning, cognition, and treatment responsiveness, physicians and patients should think hard about committing to long-term antidepressant treatment to prevent episodes, beginning early in the course of illness. This editor (Robert M. Post) would propose that if a second depressive episode occurs after a first depression that responded well to treatment, this would be an appropriate time to start antidepressant prophylaxis. Most guidelines suggest that prophylaxis be started after a third episode, but these recommendations generally do not account for newer data on the pernicious effects of experiencing repeated depressive episodes. In addition to causing dysfunction and disability, going through four depressive episodes doubles the risk of dementia in old age, and this risk increases further with each successive episode, according to researcher Lars Kessing. Having too many depressions is bad for the brain. In Kessing’s studies, two episodes of unipolar or bipolar depression did not increase the risk of dementia compared to the general population, while four depressions did. One could compare the effects of repeated depressions on the brain to the effects of heart attacks on the heart muscle. A heart might still function well after one or even two heart attacks, but the chances of significant loss of function and the risk of congestive heart failure increase as a function of the number of heart attacks. After even one heart attack, most patients change their lifestyle and/or go on prophylactic medications to reduce risk factors such as elevated blood pressure, cholesterol, triglycerides, weight, blood sugar, and smoking. The benefits of reducing heart attacks are a no brainer. Trying to prevent recurrent depression with pharmacotherapy and adjunctive psychotherapy after a second depressive episode should be a no brainer too. In addition, if antidepressants are not effective enough in preventing depressions, lithium is an option, even in unipolar depression, for preventing both episodes and suicide. The evidence of efficacy in both instances is very strong according to an article by Mohammed T. Abou-Saleh in the International Journal of Bipolar Disorders in 2017. The renowned psychiatrist Jules Angst’s recommendation as to when to start lithium treatment was that if a patient had had one episode or more in the previous five years in addition to the present episode, then they were likely to have two further episodes in the following five years, and lithium prophylaxis would be recommended. For twenty years, evidence has shown that early intervention can ameliorate many of the adverse consequences of schizophrenia. In a 2018 article in the journal Annual Review of Clinical Psychiatry titled “Transforming the treatment of schizophrenia in the United States: The RAISE Initiative,” Lisa B. Dixon and colleagues described the importance of early intervention in schizophrenia. RAISE stands for Recovery After an Initial Schizophrenia Episode. Dixon and colleagues emphasize that shortening the time that a patient’s psychosis goes untreated, which averages 74 months, is critical to achieving good outcomes. In parallel to these consistent findings, researchers of bipolar disorder (including this editor Robert M. Post and colleagues) have found that an increased length of the interval before treatment is initiated in childhood-onset bipolar disorder is associated with a poor outcome in adulthood. The RAISE program consists of four interventions: personalized psychopharmacology using a computerized decision support system, individual resilience therapy, family psychoeducation and therapy, and supportive employment and education. Compared with patients receiving standard treatments, patients who participated in the RAISE program showed greater improvements on almost all measures, including the Heinrichs-Carpenter Quality of Life Scale (main outcome), the Calgary Depression Scale for Schizophrenia, the Positive and Negative Syndrome Scale, treatment duration, and engagement in work and school. Moreover, the improvements were more substantial among patients with a shorter duration of untreated psychosis. Editor’s Note: These findings are of great importance in their own right, but they also have great implications for treatment and research efforts in bipolar disorder. A 2013 randomized study by Lars Kessing and colleagues published in the British Journal of Psychiatry found that in bipolar patients hospitalized for a first or second episode of mania, two years of comprehensive treatment with psychotherapy, pharmacotherapy, and illness education that included mood monitoring and early symptom recognition was vastly superior to typical treatment, and this held true even six years later. In a 2014 article in the Journal of Clinical Psychiatry and a 2016 article in the journal Bipolar Disorders, researcher Jan Marie Kozicky and colleagues reported that in patients hospitalized with a first episode of mania, cognitive functioning and brain imaging abnormalities, respectively, returned to normal over the next year only if the patients experienced no further mood episodes. The message is clear: we must treat the first episode of mania comprehensively to avoid long-term deterioration, which occurs as a function of the number of episodes of mania or depression a patient experiences. However, this early multimodal approach is rarely taken in the US. The contrast between these efforts in schizophrenia and their virtual absence in bipolar disorder is incomprehensible and tragic. Studies in early schizophrenia have been funded for 25 years, while almost none have been funded in bipolar disorder, even in recent years. Community mental health programs for early schizophrenia will soon exist in 48 states; for patients with bipolar disorder there are no programs available in any state that I am aware of. The incidence of bipolar is about three times that of schizophrenia, and the long-term outcomes are often as devastating in bipolar disorder as in schizophrenia. There is a high incidence of drug abuse; social, educational and occupational deficits; and suicide in bipolar disorder. Early intervention with the many safe supplements, nutraceuticals, and well-tolerated drugs that are currently available to adult patients should be studied in young people with bipolar disorder, but such studies neither being funded nor conducted. 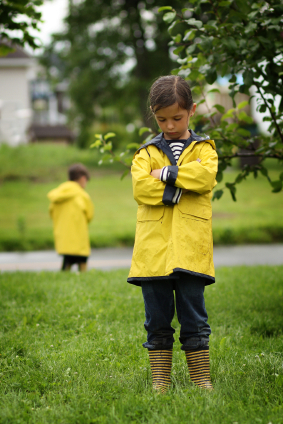 The reality is that childhood-onset bipolar disorder is poorly recognized and treated in the US, largely because of a paucity of treatment-related studies and knowledge about the best options for these young patients. If a reader of the BNN knows how to influence advocacy groups, leaders in the Substance Abuse Mental Health Services Administration (SAMHSA) and the National Institutes of Mental Health (NIMH), or influential politicians, it would be useful to take the initiative in bringing some of these deficits and disparities to their attention. Something must be done; ideas about how to do it are welcome. My own efforts to get funding for a childhood-onset bipolar research network in collaboration with such luminaries in the field as David Miklowitz (UCLA), Kiki D. Chang (Stanford University), Boris Birmaher (University of Pittsburg), Benjamin Goldstein (Stonybrook Research Institute), Eric Youngstrom (UNC, Chapel Hill), Soledad Romero (Hospital Clinic of Barcelona), and Josefina Castro Fornieles (University of Barcelona) have not been successful. We will keep trying, but the field needs to reach beyond the many investigators who are advocating for more treatment research to other people with more influence. Our editor Robert M. Post served as discussant at a symposium on special topics in bipolar disorder at the 2013 meeting of the American Psychiatic Association. Here are some of the findings that were presented at the symposium. Michael Gitlin of the University of California, Los Angeles (UCLA) emphasized the importance of treating patients until remission in order to achieve functional recovery and prevent cognitive impairment. Michael Bauer of Dresden, Germany reviewed data showing that early onset of the illness and long delays to first treatment are important predictors of poor response to treatment. Mark Frye of the Mayo Clinic discussed the promise of pharmacogenomics to aid in the selection of the best medicine for a given individual (i.e. personalized medicine). Currently the presence of one of a few relatively rare gene variations—HLA-B 1502 (in Asian populations) and HLA-A 3101 (in European populations)—can predict that an individual may develop a severe rash when taking the anticonvulsant carbamazepine. Researcher J. Rybakowski has found that a somewhat common variant in the gene responsible for producing brain-derived neurotrophic factor (the val-66-met allele for proBDNF) is associated with a good response to lithium. This may be explained by the fact that lithium increases BDNF, and this could be crucial in those with the val-66-met allele, which functions less efficiently than the more common and better functioning allele val-66-val. David Miklowitz, also of UCLA, reviewed data that strongly indicates psychotherapy is effective in the treatment and prevention of bipolar depression. He and Kiki Chang of Stanford University found that family focused therapy (FFT) was effective in treating early syndromes that sometimes lead to bipolar disorder (including depression, anxiety, or BP-NOS) in children at high risk for bipolar disorder because of a family history that includes bipolar disorder in a first degree relative. Yesterday we shared the 8 key ingredients to family focused therapy. Post also endorsed Bauer’s emphasis on the need for early intervention, since delay to first treatment is an independent risk factor for a poor outcome in adulthood. (This finding has been replicated in three studies — Franchini et al. in 1999, Post et al. in 2010, and Drancourt et al. in 2012. Each of these factors and family focused therapy need greater attention in the US, since Post noted that all aspects of bipolar disorder are more difficult for patients in the US compared to those in Germany, the Netherlands, and many other European countries. About two-thirds of the adults with bipolar disorder in the US had onset of the illness before age 19, while in most European countries, only about one-third of adult patients had an early onset. 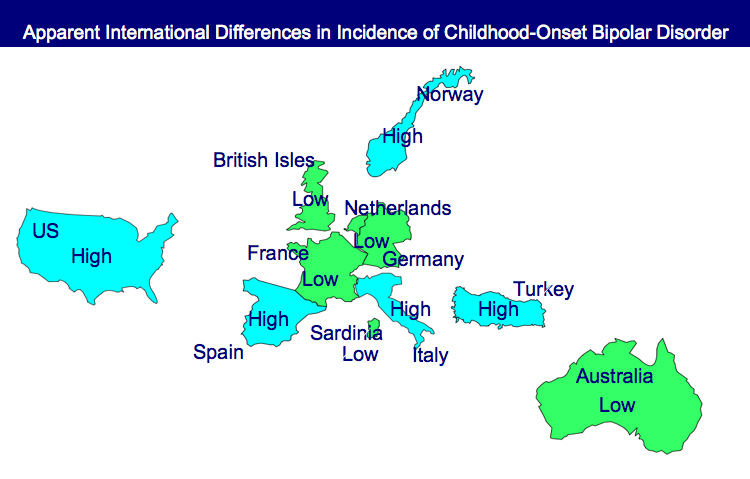 These data are also consistent with the low incidence of bipolar disorder in children at high risk for the disorder because of a parent with bipolar disorder in studies from the Netherlands, Switzerland, and Germany. In contrast, similar studies of children with at least on parent diagnosed with bipolar disorder in the US (by Chang et al., Nurnberger et al., Wozniak et al., and Birmaher et al.) show a higher incidence of the illness. Canadian studies by Duffy et al. and studies of an isolated Amish community in Pennsylvania by Egeland et al. show a low incidence much like the Europeans. 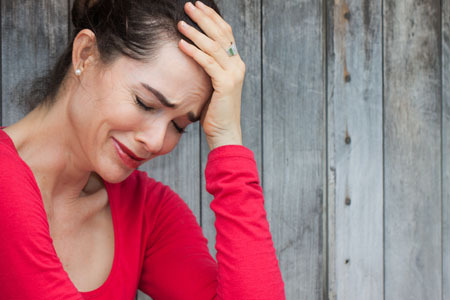 Given the great need for care of children with signs of bipolar disorder in the US and the shortage of child psychiatrists and pediatricians knowledgeable about bipolar disorder, Post recommended that in the absence of other alternatives, adult psychiatrists of parents with bipolar disorder who have children with the disorder should fill this gap by treating the children themselves. If the child has only early symptoms, family focused therapy as described by Miklowitz above would be recommended. Tomorrow and Friday we’ll share tables with recommendations for the treatment of parents with bipolar disorder and their children. An article published by N. Drancourt et al. in the journal Acta Psychiatra Scandinavica this year examined the duration of the period between a first mood episode and treatment with a mood stabilizer among 501 patients with bipolar disorder. The time between a first episode of depression, mania, or hypomania and first treatment averaged 9.7 years. The authors conclude that more screening, better recognition of the early stages of the illness, and greater awareness are needed to decrease this long delay. Editor’s Note: The article by Dancourt et al. replicates earlier findings of an average treatment delay of 10 years among bipolar patients from the treatment network in which this editor (Robert Post) is an investigator (formerly the Stanley Foundation Bipolar Network, now called the Bipolar Collaborative Network). The duration of the untreated interval (DUP) for patients with bipolar disorder is unacceptably long and carries a heavy price. Those with the earliest age of onset experience the longest delay to first treatment. Early onset is associated with poor outcome compared to adult onset bipolar disorder, and the duration of time untreated adds a separate, independent risk of a worse outcome in adulthood, especially more frequent and severe depression, more episodes, and less time well. New research shows that there are more early onsets of illness and more difficult courses of bipolar illness in the US than in the Netherlands or Germany. This editor was invited to give a plenary presentation at the 4th Biennial Conference of the International Society for Bipolar Disorders in Sao Paulo, Brazil in March. The talk, titled “A greater incidence of early onset bipolar illness and poor prognosis factors in patients in the US compared with those in The Netherlands and Germany,” was based on studies in our Bipolar Collaborative Network. An article by Geller et al. in Bipolar Disorders last year illustrates the crisis in the treatment of childhood-onset bipolar illness in the US. 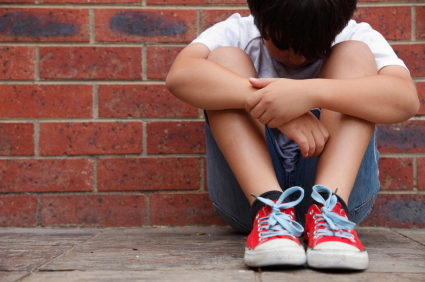 The article indicates that almost 40% of the children with a credible diagnosis of bipolar disorder in this study never received anything near the appropriate treatment for their illness. It is unfortunate when children fail to receive appropriate treatment because of ambiguity about a diagnosis, but it is even more frustrating when one of the world’s experts makes a diagnosis, and a child still fails to receive treatment based on consensus guidelines.